1.00 Diversity and inclusivity are among Wilfrid Laurier University’s core values. To support diversity and inclusivity at Laurier, the University commits to preventing, minimizing, and removing barriers to participation for persons with disabilities and to making it an accessible and welcoming environment for students, employees, alumni, volunteers, and visitors with disabilities. If for any reason an accessible solution is unavailable, the University commits to providing support for and facilitating timely accommodations that respect the privacy and autonomy of individuals with disabilities so that they may share an equitable level of access to services, facilities, and opportunities. 2.01 The Accessibility for Ontarians with Disabilities Act (AODA 2005) is provincial legislation that mandates how businesses and organizations, including Laurier, make their environment and services accessible services to students, employees and community members with disabilities. The goal of the AODA is for Ontario to be fully accessible by 2025. We will comply with the AODA legislation and related regulations and policies enacted pursuant thereto. 2.02 Given that this is an issue of diversity, inclusivity and justice, it is incumbent upon us to surpass the minimum requirements of compliance and seize every opportunity to place Laurier among the most accessible and inclusive universities in Canada. In keeping with the true spirit of the AODA, it is hoped that our community will endeavour to raise the bar on accessibility standards, by embracing the vision of what we aspire to be. The Accessibility Advisory Committee, comprised of senior leaders from areas across campus, supports Laurier in demonstrating strong leadership in all matters of accessibility. The Committee receives feedback from persons with disabilities through the Accessibility Advisory Sub-Committee, and/or through other mechanisms such as feedback forms or surveys. 2.03 Whether a person’s disability is apparent or not, everyone should be treated with courtesy, made to feel welcome, and have their need for accommodation respected whenever they interact with a service provided by Wilfrid Laurier University. This policy is intended to benefit the full range of persons with disabilities, as defined in the Accessibility for Ontarians with Disabilities Act and Ontario Human Rights Code. This initiative is informed by the principle of fostering a culture where disability has a presence and where diversity in people, ideas, and sensibilities is affirmed and acknowledged as contributing to the Laurier community in a seamless manner. May include, but are not limited to, large print, recorded audio and electronic formats, braille and other formats usable by persons with disabilities. May include, but are not limited to, captioning, alternative and augmentative communication supports, plain language, sign language and other supports that facilitate effective communications. e) An injury or disability for which benefits were claimed or received under the Workplace Safety and Insurance Act. Emergency response plans or “fire safety plans” may refer to any written emergency response procedures or public safety information, including evacuation maps. All paid full and part-time staff, faculty, student employees and volunteers at Laurier. An individual who accompanies a person with a disability in order to assist him or her with communication, mobility, personal care, or medical needs or with access to goods or services. 4.00 This policy applies to all facilities (owned, leased or rented), and campuses of Wilfrid Laurier University. Wilfrid Laurier University will communicate with persons with disabilities in ways that take into account their disability. This means the University will communicate in a means that enables persons with disabilities to communicate effectively for purposes of using, receiving and requesting Wilfrid Laurier University’s goods, services and facilities. The University will train employees who communicate with customers on how to interact and communicate with people with various types of disabilities. Upon request, the University will provide accessible formats of documents or communication supports in a timely matter, taking into account the accessibility needs of the individual making the request. Accessible documents and communication supports will be provided at no more than the regular cost charged to other persons. Emergency response plans and other public safety information will be provided in an accessible format in a timely manner upon request. Where available, and with the exception of special collections, archival materials, rare books, and donations, Laurier’s libraries shall procure or acquire by other means an accessible or conversion ready format of print, digital or multimedia resources or materials for a person with a disability, upon request. Any educational information, including textbooks or course packs produced by Laurier, will upon request be made into accessible or conversion ready versions of the printed materials. The University is committed to serving people with disabilities who use assistive devices to obtain, use or benefit from our goods and services. The University will provide training and information to all employees on various assistive devices that may be used by customers while accessing our goods or services. A person with a disability may provide their own assistive device for the purpose of obtaining, using and benefiting from Wilfrid Laurier University’s goods and services. Exceptions may occur in situations where Wilfrid Laurier University has determined that the assistive device may pose a risk to the health and safety of a person with a disability, the health and safety of others on the premises, or where academic accommodation policies for students with disabilities exist. In these situations and others, Wilfrid Laurier University may offer a person with a disability other reasonable measures to assist him or her in obtaining, using and benefiting from Wilfrid Laurier University’s goods and services, where other such measures are available. The University is committed to welcoming people with disabilities who are accompanied by a support person. Any person with a disability who is accompanied by a support person will be allowed to enter Wilfrid Laurier University’s premises with their support person. At no time will a person with a disability who is accompanied by a support person be prevented from having access to their support person while on our premises. a) A support person is necessary to protect the health or safety of the person with a disability or the health or safety of others on the premises. b) There is no other reasonable way to protect the health or safety of the person with a disability and the health or safety of others on the premises. A support person, when assisting a person with a disability to obtain, use or benefit from Wilfrid Laurier University’s goods and services, will be permitted to attend at no charge where an admission fee is applicable. Wilfrid Laurier University will provide notice in the event of a planned or unexpected disruption in the facilities or services usually used by people with disabilities. This notice will include information about the reason for the disruption, its anticipated duration, and a description of alternative facilities or services, if available. When temporary disruptions occur to Wilfrid Laurier University’s services or facilities, notice will be provided in visible places, the University’s website (www.wlu.ca), or by any other method that may be reasonable under the circumstances as soon as reasonably possible. To ensure facilities, services, and goods are accessible, accessibility criteria and features will be incorporated into all purchasing practices except where it is not practicable. Each employee purchasing a good, service, or facility will consider and apply the appropriate accessibility criteria to their purchasing decisions. Applicable criteria can be found through the University’s procurement website. If it is not practicable to incorporate accessibility criteria or features one must be ready to provide an explanation upon request. Without limiting the generality of section 5.07, the University shall incorporate accessibility features when designing, procuring or acquiring self-service kiosks. In this section, “kiosk” means an interactive electronic terminal, including a point-of-sale device, intended for public use that allows users to access one or more services or products or both. When the University organizes meetings or events that involve the provision of transportation, upon request the University shall provide accessible transportation at no more than the regular cost charged to other persons. Wilfrid Laurier University will deliver training to all persons to whom this policy applies as required by the Accessibility Standards for Customer Service (AODA) and as required by the Integrated Accessibility Standards Regulation. The amount and format of training given will be tailored to suit each person’s interactions with the customer duties and their involvement in the development of policies, procedures and practices as they relate to persons with disabilities. The purposes of the Accessibility for Ontarians with Disabilities Act, 2005 and the requirements of the customer service standard. Information about the equipment or devises available on Wilfrid Laurier University’s premises that may help with the provision of goods or services to persons with disabilities. What to do if a person with a disability is having difficulty in accessing Wilfrid Laurier University’s goods and services. 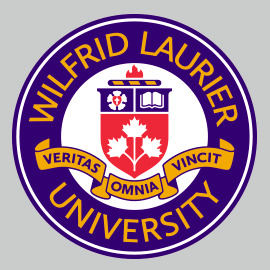 Wilfrid Laurier University’s policies, practices and procedures relating to the customer service standard. New employees will undertake training as part of their orientation. Employees, volunteers, and other persons providing goods, services or facilities, or creating policies or procedures, on behalf of the organization will also be trained on an ongoing basis when changes are made to these policies, practices and procedures. Training will be provided on the requirements of the IASR and on the Ontario Human Rights Code as it pertains to persons with disabilities. This training will be customized, when necessary, in order to be appropriate to the duties of the employees, volunteers, and other persons providing goods, services or facilities, or creating policies or procedures, on behalf of the organization. Employees will also be trained on an ongoing basis when changes are made to these policies, practices and procedures. Accessibility awareness training will be offered to professors and other educators at Laurier. This training shall include information on the principles of Universal Design for Learning (Universal Instructional Design) as it relates to different elements of instruction and course delivery and/or information on best practices in teaching students with various disabilities. Wilfrid Laurier University is committed to providing high quality goods and services to all members of the public it serves. Feedback is welcomed as it may identify areas that require change and encourage continuous service improvements. Feedback about the delivery of goods and services to persons with disabilities may be given by telephone, in person, in writing, in electronic format or through other methods. The University will ensure the feedback process is accessible to persons with disabilities by providing, or arranging for the provision of, accessible formats and communication supports, on request. Information about the feedback process will be readily available to the public and notice of the process will be posted on Wilfrid Laurier University’s website (www.wlu.ca) and/or in other appropriate locations. The University is committed to developing customer service accessibility policies that respect and promote the dignity and participation of people with disabilities. Therefore, no changes will be made to this policy before considering the impact on people with disabilities. Any policy of Wilfrid Laurier University that does not respect and promote the dignity and participation of people with disabilities will be modified or removed. This policy is subject to ongoing review and can be modified for approval by the University’s Accessibility Committee. For more information about the AODA at Laurier, please visit wlu.ca/accessibility.